What better way to celebrate Valentine’s Day then by sipping cocktails with the person you love? 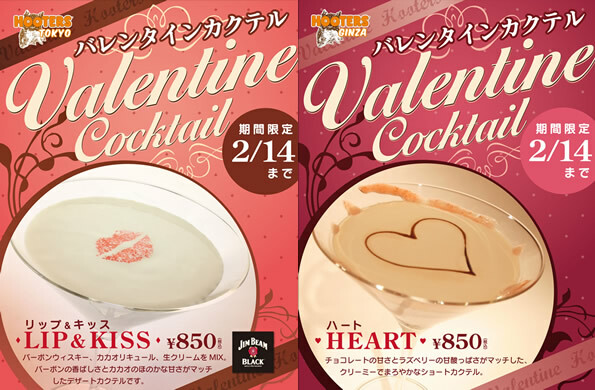 HOOTERS TOKYO and GINZA is now offering a delectable, creamy cocktails that is perfect for a dessert cocktail. These cocktails are available only until 14th! Please contact your nearest location for details. « Watch Super Bowl rerun at Hooters!